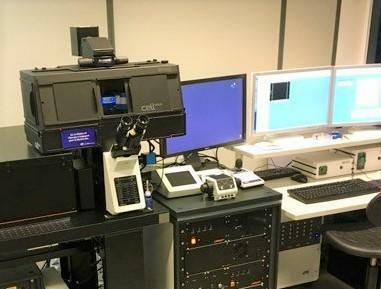 JPK is pleased to announce their latest AFM system, the world’s most flexible AFM: the NanoWizard® 4 NanoScience AFM. 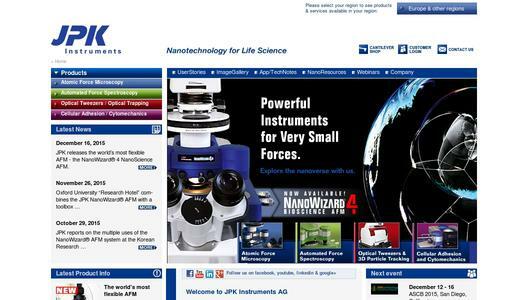 JPK continues to provide nano solutions for science. The new NanoScience system again raises the bar in terms of technical performance to deliver exciting new capabilities for users. 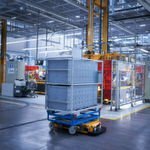 It features a powerful fast scanning option delivering images every three seconds enabling users to track dynamic processes. 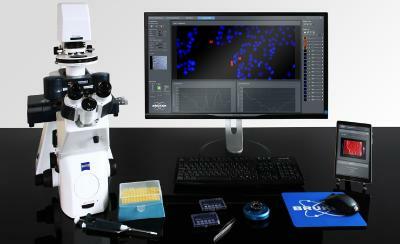 Additionally, with the unique QI™ mode, quantitative imaging is possible with outstanding high resolution. JPK has focused on providing users with an easy, intuitive imaging capability with more modes and accessories than any other AFM system. 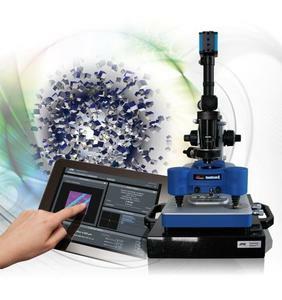 Specifically, the NanoWizard® 4 NanoScience AFM provides unique solutions for mechanical and electrical sample characterization delivering flexible, advanced research capabilities to address the increasingly complex challenges faced by materials scientists today. The system employs the powerful digital Vortis™ controller to enable atomic resolution and fast scanning capabilities on a single platform. JPK’s QI™ mode (based on real force curves) gives the user unmatched force sensitivity and control to be able to handle any brittle, delicate, soft or sticky sample. The proven Ultra Speed scanner technology delivers three seconds per image performance for a 100 x 100 micron image area, performance that is thirty times faster than other AFMs with such a large scan range. With the demand for increasing productivity and with more users wishing to perform long-running experiments over prolonged periods yet still being "in contact" with them, JPK has added expanded usability and remote experimental control. The new ExperimentControl™ feature enables the user to both set up and control experiments via the Internet using their PC, tablet or smart phone. This delivers real time data allowing users to be in touch with their AFM 24/7!